This time Microsoft have come up with a unique and new way to educate its Microsoft Office 2007 and 2010 users. They have released a game named as Ribbon Hero 2. This game will really help you to lean Microsoft Office. Users in this game can earn points in two ways. The second way to earn points in Ribbon Hero is to complete various challenges. After completion of a particular challenge, you can earn points and this way, the more challenges you complete, the more points you earn. One can also use the hint button to get a hint, in case you are stuck. That’s not it, you can compare your scores with your colleagues or friends and even post your score on facebook, to just do some showoff. Or you can put that score on resume also to show off your Microsoft Office skills. This game will only run on Windows XP, Vista and 7 and it will only work with Office 2007 or 2010. 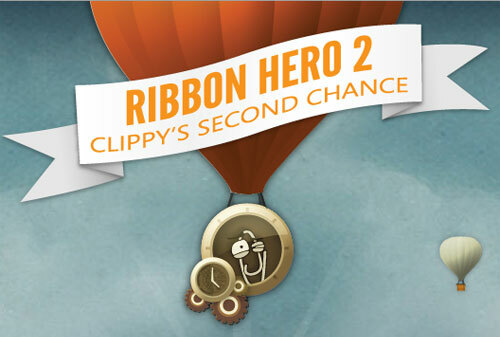 Download Ribbon Hero 2 from here.